A man who fought to have the 2014 Tower Hamlets mayoral election result declared void has voiced fresh concerns about the forthcoming polls. A new election is being held on Thursday because the last mayor Lutfur Rahman was convicted of electoral fraud and removed from office in April. Andy Erlam spearheaded the High Court action against Mr Rahman and is now standing as an independent candidate. Mr Erlam claims scores of voters are registered at apparently empty flats. He is standing for his own Red Flag, Anti-Corruption party, and said he had visited a tower block opposite the Robin Hood Gardens in Poplar, where up to 100 voters had been registered. Mr Erlam said with the exception of about 10 residents, the flats all appeared to be vacant. "There are 100 votes, including postal votes, but there are only a handful of people living there. Therefore these votes are very vulnerable to abusive use by other people. There are several other blocks of flats that are very suspicious," he said. 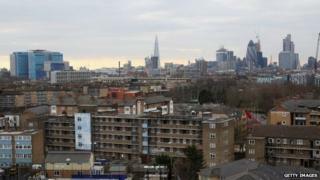 Tower Hamlets Council said it took any suggestion of fraud or impropriety very seriously. Scotland Yard is investigating 16 allegations of electoral malpractice relating to the fresh elections on Thursday.